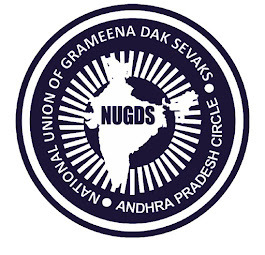 NATIONAL UNION OF GRAMEENA DAK SEWAKS AP-CIRCLE: Draft Memorandum to Hon'ble MP's & MLA's and District Collectors. Draft Memorandum to Hon'ble MP's & MLA's and District Collectors. All are requested to submitt a Memorandum to your local MP's , MLA's and district Collectors and asked to forwad our GDS issue to Prime minister and Communication Minister. We are working as Gramin Dak Sevaks [GDS] with no civil servant status for the past 125 years in the Department of Posts, India. The GDS Post, which was called Extra Departmental Agents, in the yester years, were considered to be a honorary Post, but later, has become a labour oriented Post with well defined workload and responsibilities. The existence of Conduct Rules for GDS will testify the significance of the GDS cadre. It is a widely accepted fact that GDS are the foundation members linking the length and breadth of India, delivering the mails and Money Orders. Besides these main works of Department of Posts, we are also mobilizing the savings in the various schemes under Postal Savings Bank and Rural Postal Life Insurance in the insurance sector. The total savings, because of our hard work in rural areas, have surpassed the overall deposits of other nationalized banks by many folds. It is because of these potentiality, the Indian Government as well as the other accrediting agencies in the international level, are commending the network of Postal Department in India, as exemplary, in quantum and quality with no parallel elsewhere. However, we are very much aggrieved to bring to your kind notice that we are paid with an allowance not in equal and deserving proportions to the workload and the productivity generated, thereon, in the cause of nation building. Despite many odds and hardships, we continue to serve the Department for a megre remuneration and even these remuneration which are subject to revision once in ten years along with the Central Pay Commission, are not implemented in time and thereby we are treated with a disparity on par with others. Though, the 7th Central Pay Commission was implemented for Central Government employees way back in July 2016, our allowance revision which was submitted by the designated One man Committee, headed by Hon’ble Justice Kamlesh Chandra, is yet to be approved by the Government. Even though, two years and four months have lapsed from the due date of implementation i.e., 01.01.2016, there is no sign about the revision of GDS allowances, from the Government side. A series of agitations and Strikes have been conducted, demanding the early implementation of revision, for the past two years. We stand frustrated over the indifference shown to our livelihood even though our Hon’ble Prime Minister have acknowledged the services of Rural Postal Network [GDS] and further expressed his willingness to make it fully instrumental to disburse the direct cash benefits of Central Government schemes to rural population by a thread bare digitization. But, to our dismay, the significance of our due demand over our allowance revision has not been brought to the Gracious knowledge of our Hon’ble Prime Minister. We, therefore, feel that our present indefinite strike from 22nd May, 2018, throughout India, will serve the purpose. Hence, we seek your good office to convey our plight and the overdue “allowance-revision” before the concerned Ministers including Hon’ble Prime Minister and help us to get the allowance revision as recommended by the One man Committee and accepted by the Department of Posts. We, nearly 1,25,000 GDS employees across the nation shall ever be indebted to your esteemed-self for the kind act of showing grace and honour to GDS employees working in Department of Posts, India and serving the rural mass in the cause of Nations Upliftment, over many decades.